ATAWADAC, the battle cry of Digital transformation! Marketing & IT may find it difficult to collaborate but they do have one thing in common: their love for acronyms. Literally speaking, ATAWADAC stands for “Any Time, Any Where, Any Device, Any Content”. Big Data continues to buzz and feed the wildest expectations in organizations. This first post shows the first 3 temptations of Big Data. 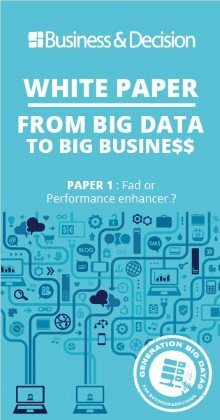 The world of Business is beginning to realize the potential of an inexhaustible commodity that has been neglected until now: the Big Data.